Breakout group sessions during a Drawdown workshop in Melbourne, Australia. 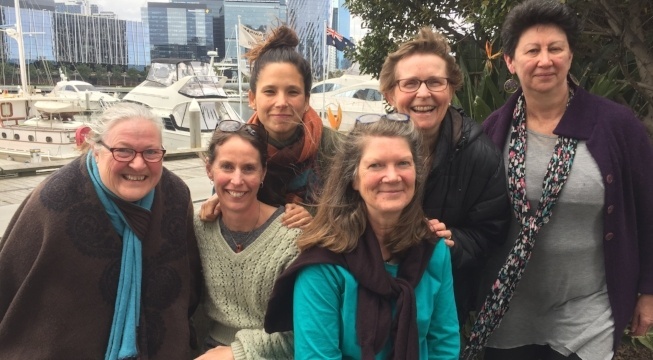 The Pachamama Alliance Drawdown Initiative in Melbourne, Australia kicked off in September as part of the Stand Up in September campaign with two successful events! After beginning with Reversing Global Warming: Introduction to Drawdown—a 2-hour program that invites participants to see both the possibility of reversing global warming and that they have in important role to play in that process—participants were inspired to join the 5-session workshop, Drawdown Solutions: Getting into Action. 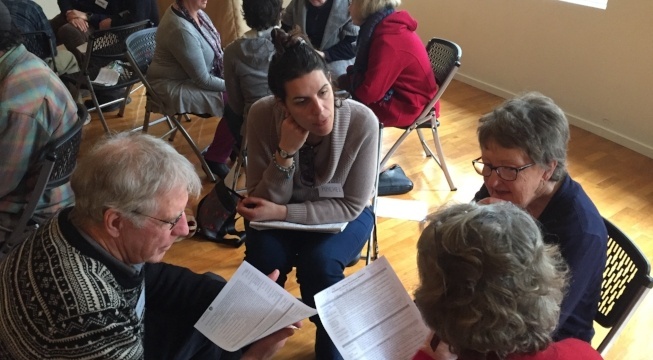 In that workshop—which was presented for the first time in Melbourne—participants worked on finding their unique contribution to reversing global warming and how to get into action with a community of like-minded individuals. The Pachamama Alliance Drawdown Initiative is bringing people together to begin implementing Drawdown solutions locally and with local initiatives. 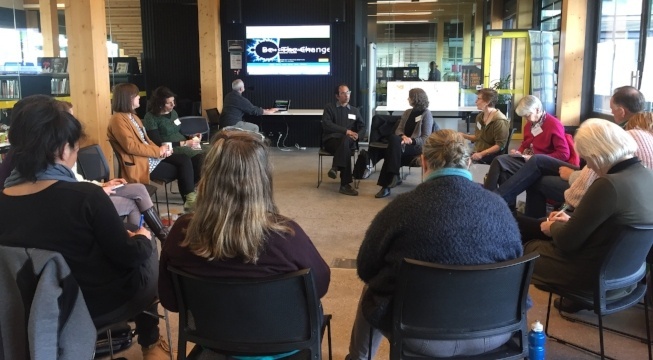 The Pachamama Alliance Community in Melbourne is currently exploring a partnership with Project Drawdown Australia; an organization seeking to research and adapt the most effective Drawdown solutions for Australia. Members of the Pachamama Alliance Community in Melbourne.